About us - Who are we that write about Las Vegas information. We are two sisters from Gothenburg, Sweden who love to travel. After having started a travel guide on New York and one of our own home town Gothenburg, we thought it was time for Las Vegas, another city we visited. As said, we love to travel and the first trip that took us outside Europe was to the United States. It was a campin tour for two weeks with Trek America. The trip took us to Los Angeles, San Francisco, San Diego and Las Vegas, etc. 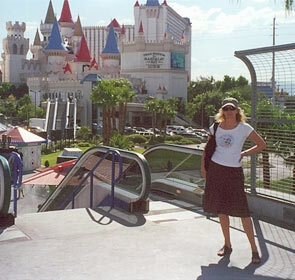 2005, we decided to go to Las Vegas again. We had found our American relatives a few years earlier and they wanted us to come and visit them. They live in Montana and the smoothest flight was via Las Vegas and then we thought we stop here a few days when we must land here. Said and done, in July 2005 we went to New York in order to take us the way to Las Vegas. We would stop briefly in Las Vegas on our way to Montana and stay there on the way back instead. After almost a journey of 1.5 days, we landed in Las Vegas and it was a cool feeling. We saw the whole Strip from the airplane window and from the airport, we saw Luxor och Mandalay Bay. After a short waiting period, we would proceed to Montana. So all got on the plane.... the heat struck us when we went out to the airplane. However, the plane did not take off, and time passed and nothing happened. After a while the pilot said to us that we need to get off the plane again and into the hall. So everybody off and back in and wait. Finally, we learned that something was wrong with the plane and that no plane would fly up to Montana today. No, we thought ... and we who have relatives who have planned to pick us up. But, we got seats on a flight that would take us to Montana via Phoenix. Ok, we will take this, we thought. So off with the plane down to Phoenix where we thought we would only stop quickly and pick on more people, but no... off again and in to the waiting area. More time to wait before continuing or journey. Then it was time to board the plane that would take us all the way up to Montana .... we thought. After some time in the air, it was time to land again .... and can you imagen where ... yes, in Las Vegas. Qui te unbelievable, we were back again. Just as the movie "the Terminal"
Once again we got a fine view over Las Vegas and all neon lights. We began to feel like Tom Hanks in the movie "the Terminal", shall we never come out in freedom. After a little sleeping on the floor at the airport, it was finally time to go to Montana. Fortunately, we had got hold of our relatives who knew we would arrive another time, and they were so nice to come and get us in the middle of the night. If you love to be able to choose to be up when you want and at the same time be able to go wherever you want and that it is open, then Las Vegas city for you. If you also love to play at the casino, you have come to the right place. 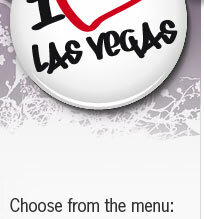 Then you must put Las Vegas on your list of destinations! The idea of our web site on Las Vegas came after we had made our website on New York and the one on our home town Goteborg. Over the years we have travelled together, and we want with our words and ideas have you interested in more destinations and we continue now Las Vegas. Like all cities, it is difficult to cover everything and keep it updated, but we try as often as we can and have time to add more tips to the website. Welcome to our Las Vegas site! Pictures: Top picture New York New York and MGM Grand - own (2005) / others - own.